One of the trickiest parts about growing succulents is getting the watering right. 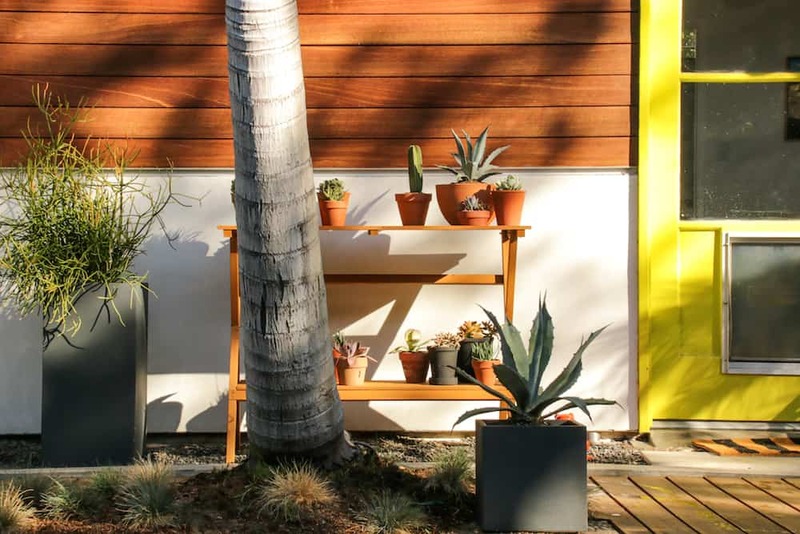 Succulents are extremely hardy plants, which can give folks a false sense of security if they’re not careful. Succulents store water in their leaves, but they also go through a cycle of holding water and draining, so they certainly need to be watered regularly. Most of the time, the soil will be your best indicator. If the soil is completely dry, it’s time to water. If it’s damp, you can hold off. Here’s a trick: stick a chopstick into the soil, and if it comes back wet, there’s still some moisture in the soil, and you probably don’t need to water yet. If you want to know if you’re doing it right or wrong, keep an eye on your succulent’s leaves, which are the best way to tell if your plant is over- or under-watered. Underwatered succulents will have leaves that look a bit like a raisin: dry and shriveled. Succulents that have too much water will look soggy, saturated, and plump.